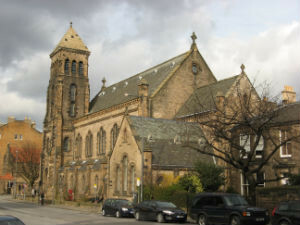 The Eric Liddell Centre is a living memorial to the Olympic athlete and Christian missionary Eric Liddell and has been serving the local and wider Edinburgh community for more than twenty five years. The Centre is a Christian organisation that acknowledges the infinite value and potential of each unique human being. It is endeavouring, through its current services, to maintain a full programme addressing physical, emotional, intellectual and spiritual needs by offering; a wide ranging community and care programme to meet identified need (in particular the needs of people with a diagnosis of dementia, carers and frail elderly people), quality community facilities for the local population, and quality project accommodation for other charities.